On the Company tab, click Commission Types; on the Commission Types page, click the Profiles link next to the appropriate commission type; on the Profiles page, click the Rules link next to the appropriate commission profile; on the Rules page, click Edit next to the appropriate commission rule. 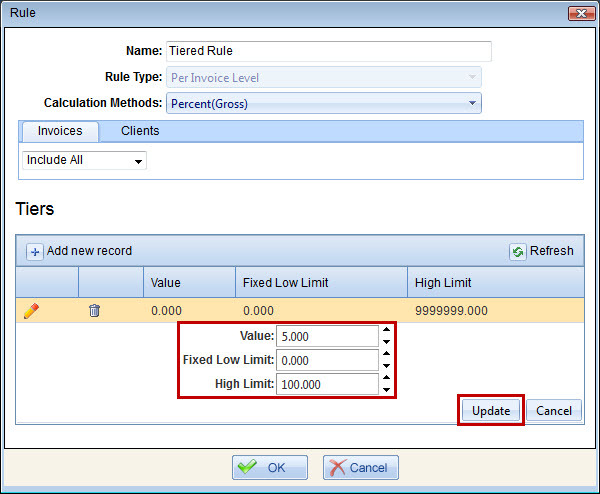 Note If the commission rule has the Per Work Order Level rule type or the Per Service Level rule type, then you can specify only one tier, while if the commission rule has the Per Invoice Level rule type, you can add as many tiers as you need. 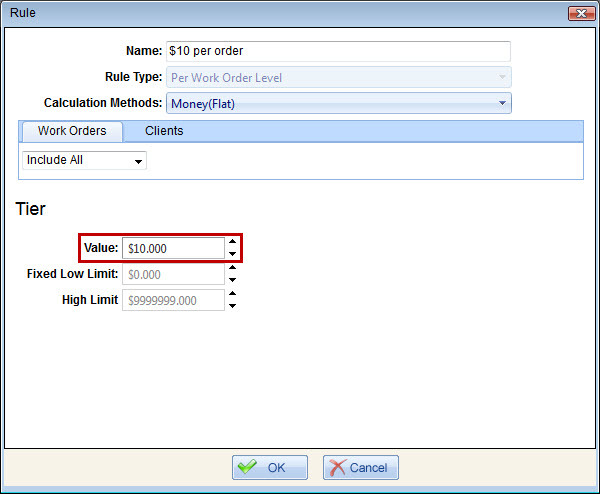 In the Rule dialog box, enter the appropriate dollar amount or percentage rate in the Value box, and then click OK. Note The Fixed Low Limit and the High Limit settings are read-only. 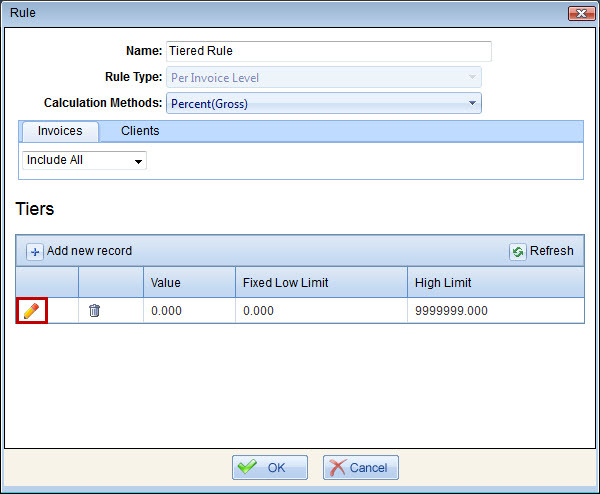 In the Rule dialog box, click Edit next to the default tier. Enter the appropriate commission tier settings, and then click Update. 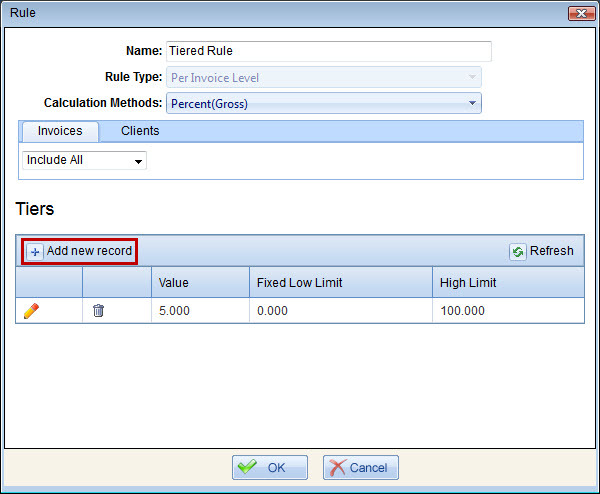 Click Add New Record on the toolbar, and repeat the previous step to create another tier.